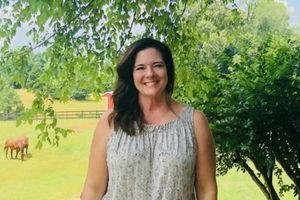 When she relocated to North Carolina, she took on a more administrative real estate role with a large Lake Norman Office. Real estate was not her first career; after graduating from Florida State, she began a career in Retail Management with Limited Brands. She quickly guided her team to a position in the top 20% of 625 stores. She believes in respecting her employees and focusing fully on the needs and desires of her customers. This strategy allowed her to create retail success a second time, leading her team to the #1 ranking spot out of 300 stores. “People come to me with a problem and I find a solution…there is something exciting about circling an issue until you discover the perfect angle to start molding the strategy for resolution”. Nancy uses this same love of problem solving in her real estate business. Her goal is to create seamless, stress free real estate transactions and she believes buying real estate should be fun and exciting, like the dreams that are driving the purchase. Nancy enjoys live music and a fit lifestyle and looks forward to helping make your real estate experience a pleasure.